Synopsis: Princess Dagmar, daughter of King Christian IX of Denmark and sister Queen Alexandra of England and King George I of Greece, was betrothed to Tsarevitch Nicholas of Russia, a love match on both sides. Tragically, he died just months before their wedding. Out of duty she married his brother in 1866, and so fifteen years later this poor, obscure princess was raised to the heights of the Russian imperial throne when her husband became Alexander III, after the assassination of his father. Her son was Nicholas II, the last Tsar. More tragedy was in store. Her husband died in his prime and two of her sons died young. During the First World War, her advice unheeded, the Tsar took command of the army and she could only watch in despair as the country she loved was governed by her daughter-in-law Empress Alexandra and Rasputin, with disastrous results. Russia was engulfed in revolution, leading to the destruction of the dynasty and the Church. Many of her family disappeared, including two sons and five grandchildren--among them the controversial Anastasia. She escaped on a British warship and was brought to England. The most senior member of the dynasty to survive, her word was law amongst the emigres and her influence paramount among the surviving Romanovs. She had truly become Matoushka, the mother of the Russian People. She died in Denmark, a tragic relic of a bygone age. Using previously unpublished material from the Royal Archives and information in Russian, Danish and Finnish previously unavailable in English, this is the first biography of the Empress for 40 years and the first major work in English. 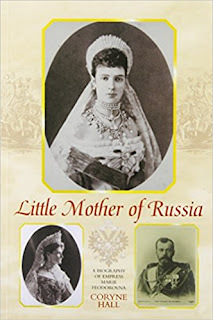 My Review: Marie Feodorovna was the last living empress of the Romanov dynasty. Her death marked the end of the Russian Imperial age. Thus, Marie Feodorovna’s life is often marked by tragedy. She witnessed the death of her fiance, and married his brother out of duty. Her husband, Tsar Alexander III died in his prime at the age of 49. Two of her sons died young. She witnessed the Russian Revolution and became a hostage under their regime. She refused to believe that her son, Nicholas II, Alexandra, and her grandchildren had died in Ekaterinburg and believed they were still alive. Because of Marie Feodorovna’s dramatic life, she deserves to be given a full biography. Little Mother of Russia gives us a sympathetic account of this fascinating empress. Marie Feodorovna was a princess of Denmark. Her older sister, Alexandra, would become the queen of England. Her brothers William and Frederick, would become kings in their own right. It is only fair for Marie Feodorovna to be a queen as well. She was engaged to the Tsarevich Nicholas of Russia. However, he died a few months after her engagement. She married his brother, Alexander. They would have a happy and successful marriage, but he would die in his prime. Thus, Marie Feodorovna life was full of unhappiness. Little Mother of Russia does a great job in portraying Marie Feodorovna. She could be judgemental, unforgiving, and selfish. She was cold to her father-in-law’s second wife, and her daughter-in-law, Alexandra. There were many times that I thought that Olga, her daughter who became her companion for the rest of her life, was a saint because Marie Feodorovna was definitely a headache. Still, I admired Marie Feodorovna for her charity work. She took care of the wounded and was an advocate for the education of women. Thus, she did have some admirable qualities. 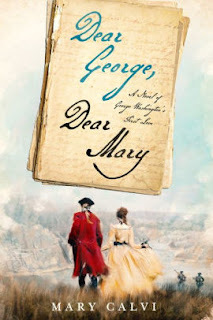 Overall, this was a balanced biography of Marie Feodorovna. The author created an intimate portrait of the Empress,and I came away feeling that I understood her. 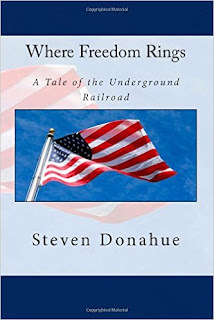 The biography is written in a narrative and engaging style. I never felt that I was bogged down with historical facts. Little Mother of Russia is heavily researched but reads like a novel. Therefore, this makes for light reading for the general reader. I recommend this biography to those interested in the fall of the Romanov dynasty. Because Marie Feodorovna lived such a colorful life, hopefully there will be more full length biographies on her in the future.